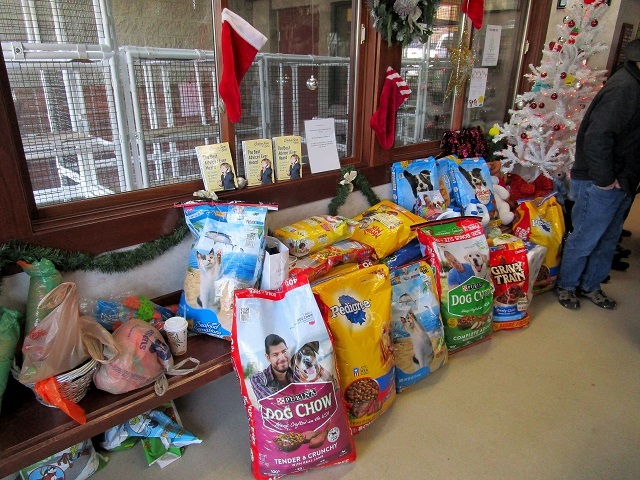 December brings our annual Project Merry Christmas, Humane Society, and Annie’s Orphans donation run. 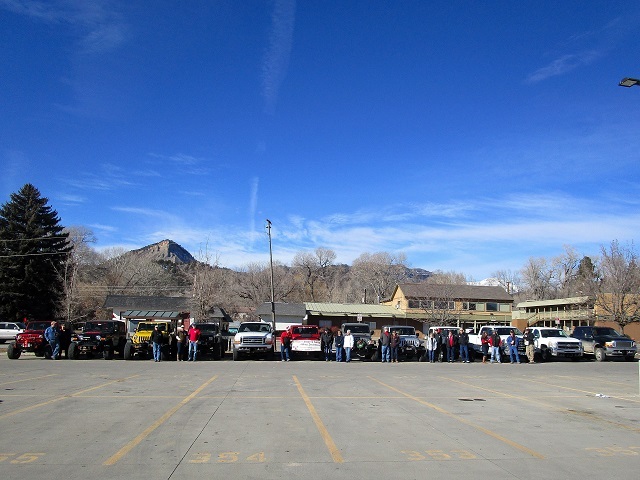 We started out the morning with breakfast at Doughworks and headed over to the high school to line up our vehicles for a group picture. From there we headed to LPEA for the Project Merry Christmas radio spot. 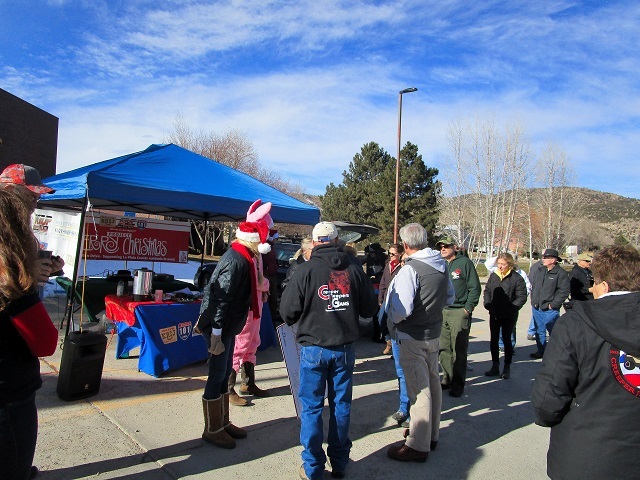 We had about 40 members there this year. 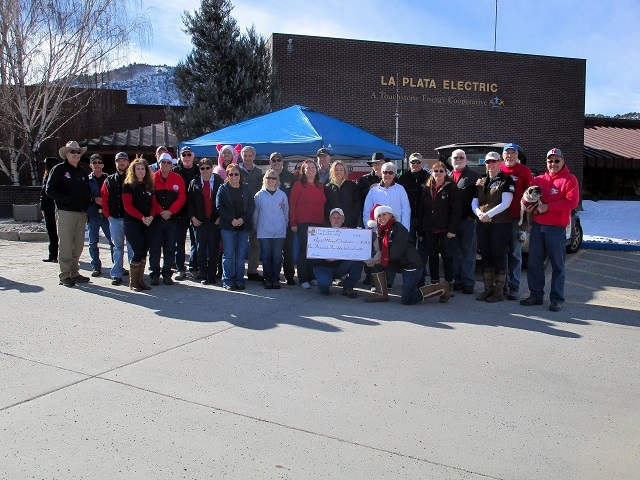 Billy Schultheiss was our face on the radio this year and they were very excited when we presented them a check for $1500 from the club. 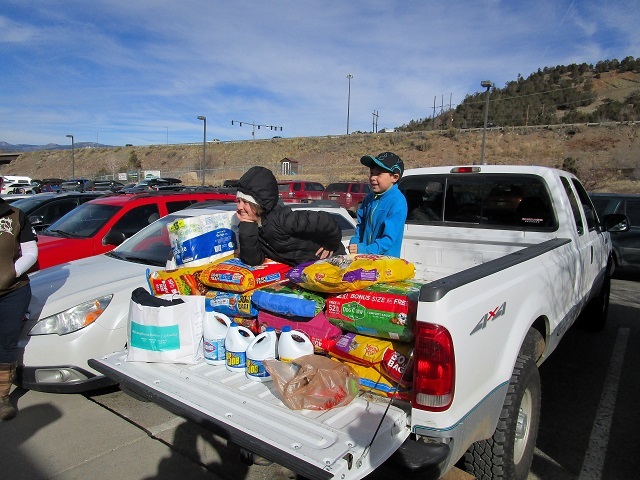 From there we went to the Humane Society to drop of donations and to check out the cats and dogs that needed forever homes. After that we headed to Annie’s Orphans to drop off the last of our donations. 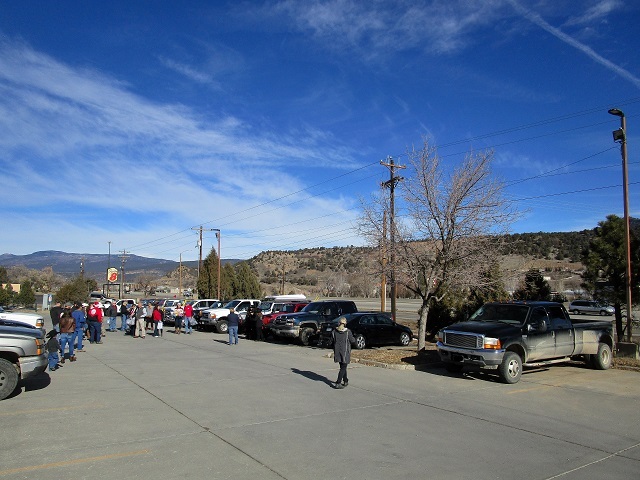 All lined up at the Durango High School. We took over the parking lot at LPEA. Getting ready for our radio spot. Project Merry Christmas wanted our picture. 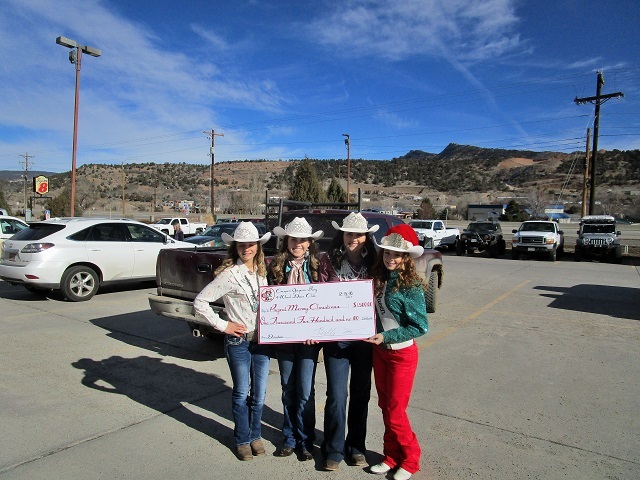 The Fiesta Days royalty took our check for $1500 to Project Merry Christmas. 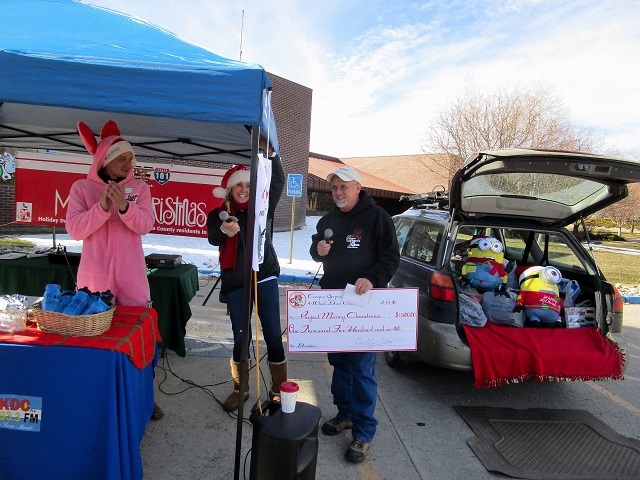 Billy presenting the check for $1500 and we filled the car with gifts to the right. 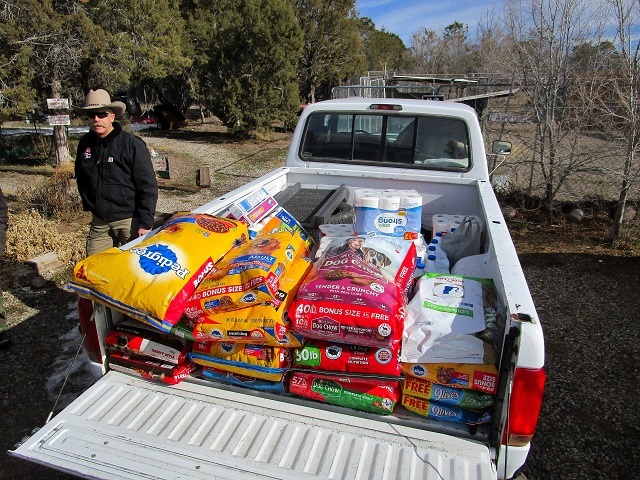 We had so much stuff at the Humane Society we had to load it up into a pickup and haul it to the front door. Our donation filled their lobby. Annie’s Orphans received a truck load of donations from us.